When I was a kid, I heartily disliked green-beans and I never really changed my opinion much over the years. I liked them raw, actually, as they taste quite a bit like snap-peas in that state, but, once cooked, especially by boiling, the nice sweetness of the raw product disappeared. Fresh ones were the best, if I had to eat them, but the frozen sort were rarely very good and the canned (which were all we ever got in school dinners) were nothing less than disgusting. 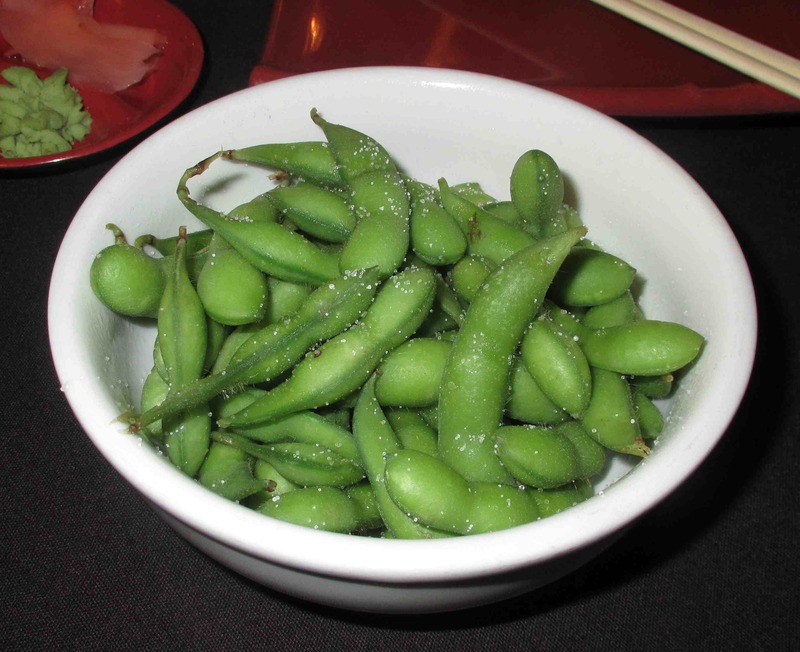 Edamame, for those unfamiliar, are young green soybeans that are often steamed or boiled and then seasoned before being eaten, frequently as a snack or appetizer. They have been a staple on Japanese restaurant menus in the west for quite a few years now (and the odd Chinese restaurant too), but they are also being increasingly more common in non-Asian restaurants, even being included as appetizers in pubs and the like. So far, though, I have only eaten them in Japanese restaurants.